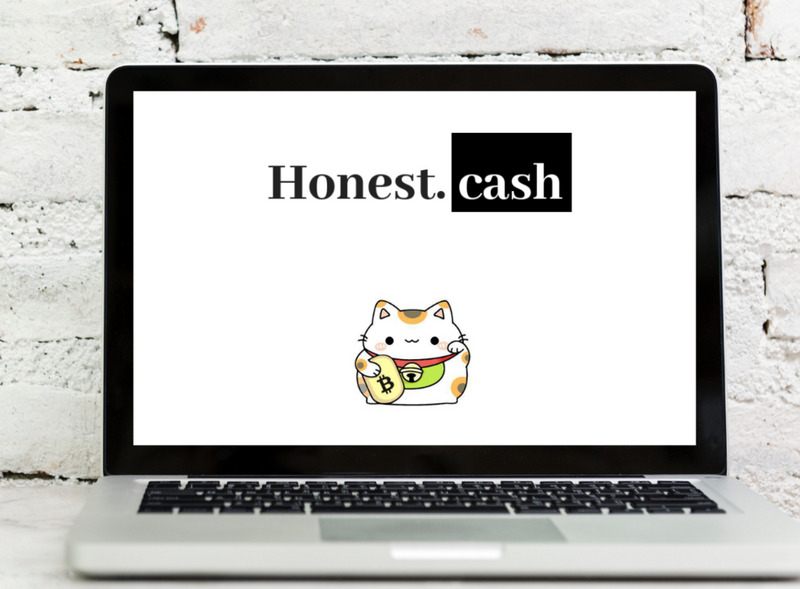 Honest Cash Partners With BitBacker - the New "Patreon"
Honest Cash is all about empowering content creators to be real. Say what they need, want and have to. We encourage any kind of content; video, images, art, prose. Anything, really. We want people to hear what you have to say through creative and informative content. Our platform rewards users for their content, some even receiving upwards of $1000 per content. Projects in the space all tend to have one mutual goal--global adoption of cryptocurrency and blockchain technology. That can be simply the using of cryptocurrency for merchant transactions, peer-to-peer spends, and functions such as upvoting-- like we have here at Honest Cash. Our friends at BitBacker have a platform that allows users to support their favorite creators with a recurring monthly donation in exchange for access to exclusive content. Bitbacker first popped up on our Twitter stream a couple of weeks ago. Adrian our CEO and Jonathan, Founder of BB hit it off. If you’ve heard Adrian’s interviews recently, you know he’s a super knowledgable, easy to like guy. Fast forward a week or so, and HC & BB are taking the next step in our crypto- relationship. Users of both Honest Cash and Bitbacker will soon have the abilty to link to their profiles on each site. Honest Cashers will be able to utilize Bitbacker from within Honest Cash, and vice versa. We have more details to release over the next couple of weeks, but ultimately it means content creators will have a larger audience reach and will have the potential to earn pledges and secure backing within both platforms. Proof, that when communities and talent support each other, incredible things happen. To stay on top of our developments and updates, follow us on Twitter, join our Telegram & sign up to honest.cash if you haven’t already! RE: Honest Cash Partners With BitBacker - the New "Patreon"
How about considering peepeth , cent ? Thanks for sharing the article. From my perspective, this partnership doesn't make much sense. Last month I wrote about how Honest Cash's model is vastly superior to Bitbacker's model, so I was pretty surprised when Adrian announced the partnership. Then again, everybody already knows and understands Patreon's model. Maybe Bitbacker can function as the gateway drug to Honest Cash. Except it doesn't seem like Bitbacker has a lot of users, but maybe it does. Personally I'd prefer it if founders solicited community input on any and all decisions that could potentially impact the community. Founders should at least pretend to care what we think. If Adrian had asked for the community's input beforehand, I would have told him that a partnership between Honest Cash and Cent makes a lot more sense. Well, at least as far as promotion is concerned. On Facebook I tried to spend $30 dollars to "boost" a post about Honest Cash. FB rejected it because of… crypto scams. Anyways, I could have just as easily included a link to Cent in my post. Anybody who saw the post/ad would have had two websites to choose from. Everybody likes options. This is something that the two communities could do on our own. We could all chip in to pay for a billboard somewhere that would promote both Cent and Honest Cash. "@coindesk should put its articles on @Honest_cash and/or @Cent so that it can see the demand for each one and adjust the supply accordingly." So far Adrian has retweeted it. Should Cent's founders also retweet it? Yeah, of course. There's strength in numbers. Cent and Honest Cash should gang up on the Goliaths… Reddit, Twitter, Facebook and so on.